From legendary coffee houses to secretive tunnels on the grounds of Vienna’s palace, we’ve curated the 7 best spots in Vienna to get your Instagram pics. Vienna has the cobbled streets, baroque buildings and imperial palaces in this beautiful city where Sacher Tort and culture are king. From legendary coffee houses to secretive tunnels on the grounds of Vienna’s palace, here’s the 7 best Instagrammable spots in Vienna. An apartment building designed by Austrian architect Friedensreich Hundertwasser is a popular Instagram spot. The colorfully decorated exterior façade of Hundertwasser House in Vienna is ideal for photographs. The charming Freyung Passage is in an elegant shopping arcade built in the 19th century as part of the Ferstel Palace. Surrounded by quaint cafes, this is a pretty picture stop. 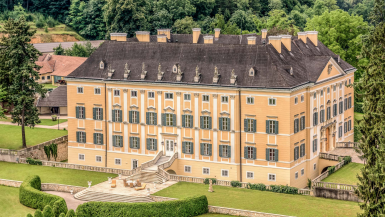 The 1,441-room Baroque palace is one of the most important architectural, cultural, and historical monuments in the country and is an Instagram dream both inside and out. Explore the lush gardens for green tunnels and city views. 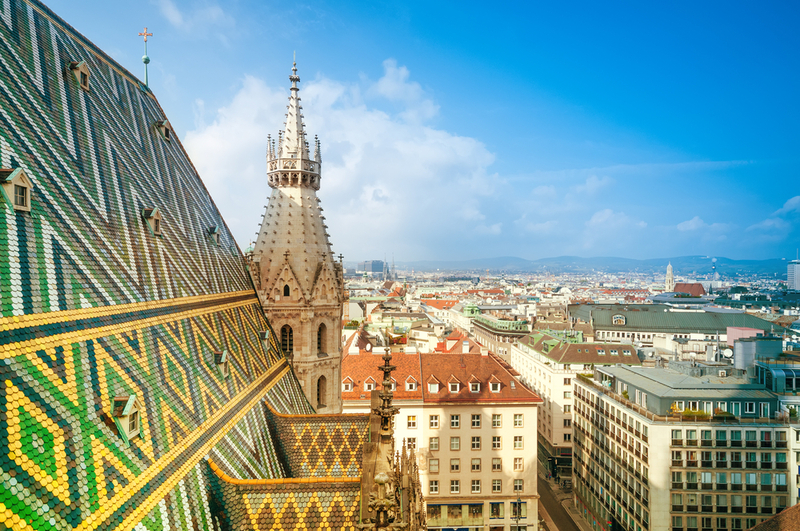 One of the oldest churches in the city—along with St. Peter’s Church and St. Rupert’s Church—it is one of the few surviving examples of Gothic architecture in Vienna. Climb up the *very* photogenic steps for the best Insta. Vienna’s pride and joy, this Catholic cathedral is beautiful all-year round. Climb up 343 steps in the South Tower as far as the Türmer Stube; once at the top you have a view over the rooftops of Vienna. With historic links to Freud & Trotsky, Café Central has been a Viennese staple since 1847. There may be queues outside, but it’s worth it. Indulge with classic Viennese dishes, traditional coffee specialities and sweet treats from the in-house patisserie. The Palace of Justice – Justizpalast is one of the must see locations in Vienna with its Neo-Renaissance architecture and impressive staircases. Hop in the elevator to the top floor to the Justizcafe for a view of the entire city. Did we miss any of your favourite spots in Vienna to take Instagram photos? Let us know in the comments!